Owner and operator of Las Olas Serenity Massage, has been a licensed massage therapist for six years. 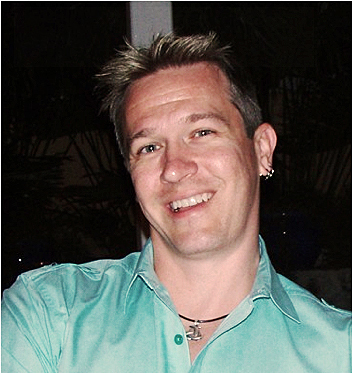 Working in Virginia for a number of years, he has moved to Florida, and opened Las Olas Serenity Massage in 2014. His studies include: Swedish, Therapeutic, Hot Stone, Swe-Thai, Watsu, Reiki, and he is currently studying to become a Reiki Master. A credit card number is required to hold your reservation. We require a 24 hour notice for any cancellation. Late cancellations will be charged 50% of the service. No shows will be charged 100% of the service price. Do you accept Credit Cards, and Checks? We accept all major credit cards, and require a credit card number to hold your reservation. Regretfully, we cannot accept checks. Services and pricing listed on the web-site and brochures are subject to change without notice. We understand that special circumstances are unavoidable and a cancellation may be necessary. We require a 24 hour notice for cancellations and rescheduling. Late cancellations will be subject to a fee equal to 50% of the service. No shows will be subject to 100% of the service price. Your appointment has been reserved especially for you. Arriving late will simply limit the time for your treatment. Your treatment will end on time so that the next client is not waiting. Gratuities are not included in the menu price. Gratuities are always appreciated and up to the discretion of guests. Gift Certificates are a wonderful way to give the gift of relaxation. You may call 954-629-9927 to order a Gift Certificate, and we will mail it to you. Gift Certificates are valid for one year from the date of purchase, they are non-transferrable and non-replaceable if lost. Do you allow Cell Phones? In order to maintain the peaceful atmosphere, please turn your cell phone off. We have created a relaxing atmosphere for your enjoyment. We encourage your communication; whether it’s the temperature of the room, the amount of pressure or the volume of the music, please tell us. What if it is my first visit? We suggest you arrive a few minutes early to fill out our brief client intake form. Although your jewelry will remain in the room with you, we suggest leaving valuables at home. We do not assume liability for any valuables.